In recent years there has been a rise in exoskeleton technology geared towards aiding people with physical impairments. A company aptly named ReWalk is working on an exoskeleton to help people who have experienced a stroke regain their ability to walk. The company has partnered with the Wyss Institute at Harvard, which specializes in developing new technology powered by biological design principles. The problem with a lot of exoskeletons currently being developed is that they can be large and heavy, which works against people who have difficulty walking. While there are a number of exoskeletons currently on the market geared to helping paraplegics walk again, ReWalk’s current design is geared specifically for people, like stroke patients, who tend to have difficulty with only one of their legs. 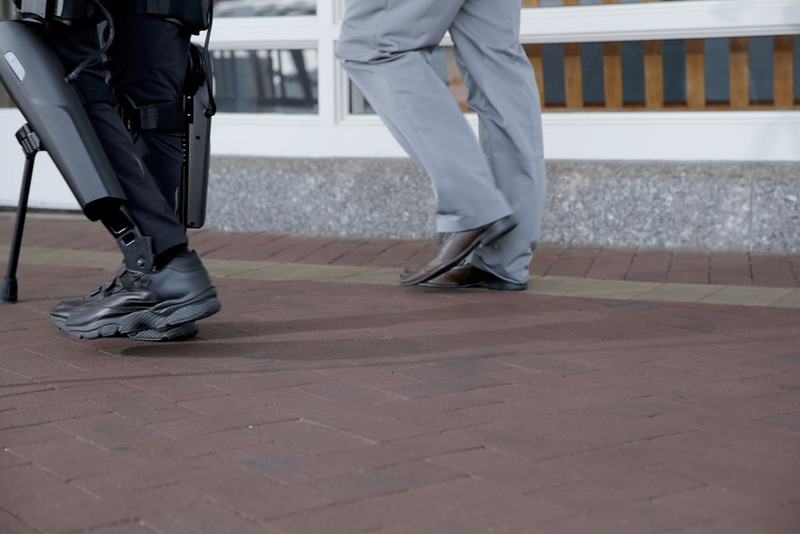 The current model, called Restore, has a belt connected to a single leg brace that targets the ankle, which is the joint that is most impacted by a stroke. Restore works similarly to a swing, giving people the extra boost needed to overcome inertia and bring their leg forward to take a step. Sensors on the device can monitor speed to help speed up or slow down the wearer’s pace. The brace and device adapt to each person’s walking pattern, with the ability to adjust how much support is given. For example, a physical therapist might want to give someone a lot of support at the beginning of their recovery and slowly dial it down as they get stronger. The Restore prototype has been tested on a number of patients. ReWalk will start FDA clinical trials early in 2018 with hopes to bring the product to the market by the end of the year. While the product is currently geared towards stroke patients, the designers of ReStore believe it could be helpful for people with multiple sclerosis, cerebral palsy and Parkinson’s disease. Since the technology is customizable, it can adjust to serve different joints based on a patient’s needs.